We’re proud of our clients and their success stories, so we can’t help but to brag about them. They stand as an example of the importance and relevance of the services we offer. Check out our NJSBDC at Rutgers-Camden client success stories below. Interested in becoming a NJSBDC at Rutgers-Camden client of the month? Contact us and find out how you can get your business featured. Check out our social media wall. Ed Ebert’s Automotive was established by its founder in 1980. 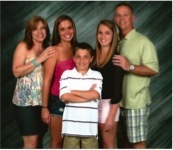 Mike and Suzanne Dunn purchased the business on December 9, 2013 with the idea of providing family, friendly automotive repair to the local community. Suzanne and Mike Dunn purchased the business which had been established since 1980. With the help of the Small Business Development Center in Camden, they were able to form a plan to take over and continue the success of the business. When they took over the business, they struggled tremendously with having the customer clientele accept them after being used to dealing with the same person for over 20 years. In addition, they also encountered employee problems with the group of employees that transferred over from the previous owner. With the help of the SBDC, they were able to overcome the many obstacles they faced and continue to build the business. The SBDC provided them with ideas and suggestions and helped to motivate them to continue and grow the business. The business had a 35% reduction in gross dollars after they took over. With the help of the SBDC, they have been able to grow the business to almost equal to what it was when the previous owner was there. Ed Ebert’s Automotive now employs seven full-time, certified automotive professionals that provide automotive repair solutions to Moorestown and the surrounding communities. Their facility uses state-of-the-art equipment and tools, and offers customer amenities that include a courtesy shuttle service, bicycle loaners, discounted rental cars, and a free car wash with every service, and no interest financing available if paid within six months. Ebert’s Automotive also maintains a customer referral program and service discounts. In addition to the service and customer oriented advantage that the Dunn’s provide to their customers, It is through community service, business associations, rotary and just good old kissing babies and shaking hands that they have established and continued to build relationships which they feel is the foundation for a successful business. Chocomize started with the goal of providing unique chocolate that is inspired and created by you. They are a socially conscious gourmet chocolate company that empowers consumers to feel good about the delicious indulgences they enjoy. Realizing they had an opportunity on their hands, Fabian Kaempfer, Eric Heinbockel, and Nick LaCava created Chocomize in hopes of capitalizing on the trend of mass customization and fulfilling the need for customized chocolate that was not being fulfilled in the United States. Chocomize became the first e-commerce in the United States to empower people to create their own chocolate bars with their favorite ingredients. Chocomize now calls New York City home and has expanded to offer not only make your own chocolate bars in other shapes but other chocolate products like truffles, hot chocolate on a sticks, and seasonal favorites. Bulk orders are also available for chocolate corporate gifts like gourmet gift baskets and party favors for birthdays, weddings, and special events. Chocomize bars can now be found in various gift shops and stores around the country. MBO Engineering was established in 2009, with the idea that the firm would focus on highway traffic and safety engineering consulting services in the future. Patricia Ott retired from full-time public employment in 2010 and began working for other agencies and organizations in 2011 before focusing on MBO. Mid-2012 saw the beginning of MBO full-time, starting with the Managing Member focusing on introducing the company to engineering firms, university research centers, industry vendors and suppliers, and public agencies. Using the advice and assistance provided by the SBDC consultants, MBO started to develop business through networking events, paid advertising, and past contacts. MBO continued to have discussions with the SBDC as new business was brought in and the business began to grow. Since that time, MBO now employs three part-time engineering professionals to assist with engineering consulting services, coordination and facilitation of events and meetings with industry professionals, engineering training, and data collection and analysis. MBO grew 59% in gross receipts and sales from 2012 to 2013 and 61% from 2013 to 2014. From 2012 to 2014, growth has been 359% for MBO. MBO credits the SBDC with setting this business on the road to success. The early discussions about the importance of fiscal responsibility and developing a financial work plan were key to keeping this company within its budget and growing for the future. MBO has had the opportunity to participate in several of the SBDC training opportunities in business plan development and marketing, which have been extremely valuable for a small business such as this. We are proud to feature Jidan Cleaning, a full service commercial and residential cleaning company, located in Medford, NJ. Successful businesses serve as models for aspiring entrepreneurs and provide inspiration to fuel their dreams. Patricia Claybrook has successfully created and operated the cleaning business for over 7 years. Patricia Claybrook has been able to draw on 20 years of experiences to make her dream of owning her own SUCCESSFUL business a reality. When Patricia was six years old, her family emigrated from Trinidad to the United States. Her father was her inspiration as she watched him work up the corporate ladder going from having nothing, not even a car, to running a corporate business. Watching and living this experience, she knew she wanted to create her own destiny, and not have to rely on anyone else for her success. Patricia took her knowledge of sales and marketing and turned it into her dream – Jidan Cleaning. With a need in the market for professional cleaning services, Patricia wanted to make sure her company was a cleaning service that delivered the consistency and quality that each client deserved with the highest degree of integrity. She searched online for assistance in preparing her business plan, pricing structures, marketing strategies, plus other groundwork to help make her business successful. She met with Bob Palumbo of the NJ Small Business Development Center of Rutgers-Camden in 2005 and periodically meets with him to update her growth plans with the goal of taking Jidan Cleaning to next level, having multiple divisions to handle her clients from South Jersey to Harrisburg, PA.
Patricia invests in each of her 24 employees. She trains each of them in safety protocols, ethics, and procedures as well as providing an Employee Handbook developed by her and her attorney. “The time and money is well spent when my clients are satisfied and come back for future services as well as having my brand identified as the provider of that great service.” Patricia says. To learn more about Jidan Cleaning, visit their website www.JidanCleaning.com. 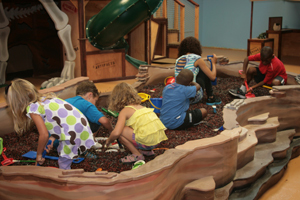 We are proud to feature the Garden State Discovery Museum (GSDM), a hands-on children’s museum for children from ages one to ten and their favorite adults, located in Cherry Hill, NJ. The museum and its owner, Roree Iris-Williams, are our first business success story. Successful businesses serve as models for aspiring entrepreneurs and provide inspiration to fuel their dreams. Roree Iris-Williams has beaten the odds by successfully creating and operating the museum for over 17 years. As is the case with many business ideas, the GSDM was an extension of the education and experience of its owners. On her way to opening her business, Roree had been a classroom teacher, the Director of Education at the Children’s Museum in West Hartford, CT and the Vice President of Education for the Franklin Institute in Philadelphia. While at The Franklin Institute, Roree met Sarah Orleans, her business partner from 1994 to 2004. Roree cites two factors that motivated her and Sarah to start their own business. One was their interest in building a business that could quickly implement new ideas outside the confines of a multi layered organization. The other was a belief that there was a need for family activities in South Jersey and the recognition that there was no one providing this type of service in the area. And so they began planning how to open and sustain a children’s museum. Very quickly after their initial brainstorm, Roree and Sarah were referred to the NJ Small Business Development Center at Rutgers, Camden (November 1993) where they were guided through the comprehensive business planning process that included developing complete financial projections. Roree credits Mr. Applebaum at the Small Business Center for “encouraging them to pursue their dream and for holding their feet to the fire”. He consistently questioned their assumptions and required them to focus on the specifics of their business plan, especially when it came to the revenue and expense assumptions. With a detailed plan and the support of family and friends, they were able to obtain financing and opened their doors ten months later, in June 1994. Flexibility and Adaptability- Things probably will not go exactly as planned and you need to quickly adapt to the changing environment. Be prepared for the unexpected. Focus on the Customer: Learn and re-learn what your customers really want AND what they will pay for. Leadership and Team Building: Provide the leadership and vision for the business and then surround yourself with people that are smarter and more skilled than you. Good Staff: Hire nice people: You will enjoy your workplace much more! Listen and Verify: Listen to your intuition, but verify what it is telling you. Network, Partner and Collaborate: Everyone wins when you join forces. An important ingredient for the GSDM has been the ability to add new programs and exhibits to keep customers coming back. Since they opened with 14 activity areas in 1994, Roree and her staff have changed and expanded the experience by building new outdoor exhibits, a special area for children under the age of four, a basketball court and hockey rink and just recently, they were featured on Channel 6 News for the opening of their new interactive Dinosaurim exhibit. 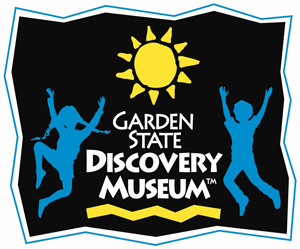 If you are interested in learning more about the Garden State Discovery Museum, come and visit…they’re open every day…or look up their website at www.discoverymuseum.com.